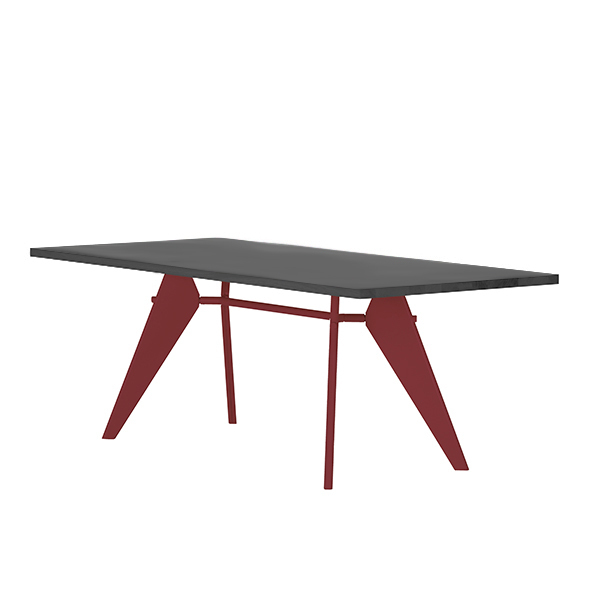 Vitra’s EM Table is a streamlined table which was designed by the French engineer and designer Jean Prouvé for the modernist, prefabricated housing project La Maison Tropicale in 1950. 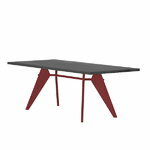 EM Table’s powder-coated steel frame and diagonal legs adhere to the structural principles of architecture and engineering. 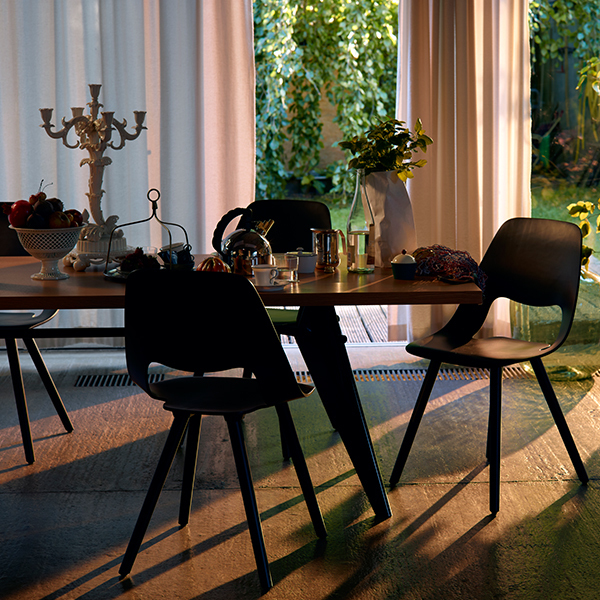 The simple, rectangular tabletop is available in solid wood or laminate. 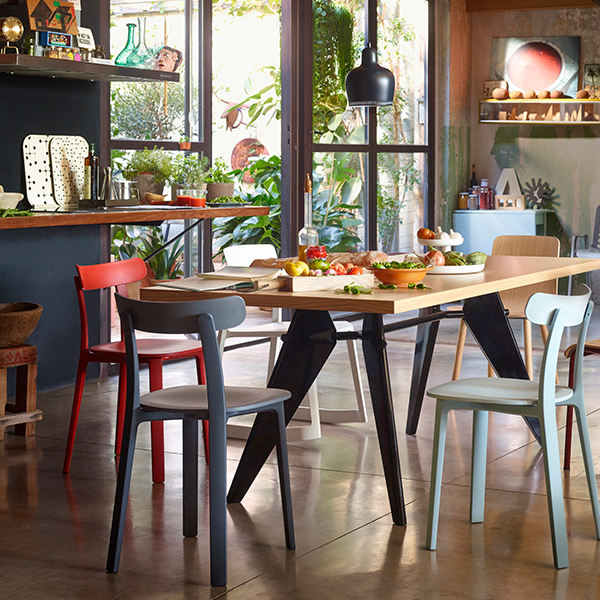 EM Table is a timeless classic as a dining or conference table, and its shape and colours match seamlessly with Prouvé’s Standard chairs.